Don’t panic over the chemicals in your mac and cheese. A recent New York Times story raised concerns but missed some key facts. Consume this in normal quantities and you will be fine. The comforting packet of powder that turns boxed mac and cheese into a creamy delight has always seemed a little bit … chemical. And now the New York Times is here to back up your suspicions: “The Chemicals in Your Mac and Cheese,” a headline blared Wednesday. The story suggests you ought to try to limit your exposure—and it ends with a list of recommendations for how to make your own mac and cheese, complete with New York Times recipes. But the story is incomplete at best and fearmongering at worst. It’s a piece about toxicity, but there is one glaring omission: dosage, or an explanation of how much phthalate exposure is dangerous to human health. Now a new study of 30 cheese products has detected phthalates in all but one of the samples tested, with the highest concentrations found in the highly processed cheese powder in boxed mac and cheese mixes. “The phthalate concentrations in powder from mac and cheese mixes were more than four times higher than in block cheese and other natural cheeses like shredded cheese, string cheese and cottage cheese,” said Mike Belliveau, executive director of the Environmental Health Strategy Center, one of four advocacy groups that funded the report. Others were the Ecology Center, Healthy Babies Bright Futures and Safer States. Detecting phthalates in all but one of the samples is one thing. Far more important is how much of the substance the researchers found. (Toxicologists have a saying: The dose makes the poison.) And what matters still more is how the amount found in the cheese powder compares to the amount that can actually harm you. 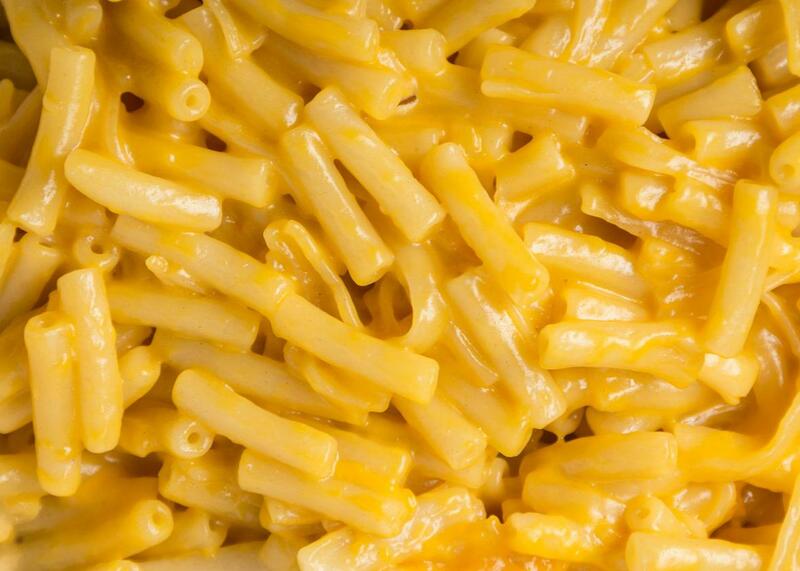 The new study that “detected phthalates” in boxed mac and cheese is not clear on either point. It’s worth noting that this study was published not in an academic journal but on an advocacy site called kleanupkraft.org. (It seems to be the joint effort of many advocacy groups, which together make up the Coalition for Safer Food Processing and Packaging, but no scientist is listed as the author.) I’m not saying that all information has to be published in a peer-reviewed journal to be valid, but the basic standards that apply to scientific publishing would have helped provide answers to critical questions that are left hanging. Part of the problem is that there is no accepted threshold for how many phthalates you need to consume for them to harm you. I talked to Sheela Sathyanarayana, associate professor of pediatrics at the University of Washington in Seattle and Seattle Children’s Hospital, and she confirmed that it’s difficult to say. (I also reached out to toxicologists on this question, but I didn’t hear back. I’ll update if I get a clear answer.) “There’s really no dose that we know that will lead to significant health effects,” she said. She noted that she had not run the numbers herself yet, but said that you’d probably need to eat multiple boxes a day to start seeing clear negative health effects. Unlike some chemicals, like dioxin, lead, or mercury, that tend to persist and build up in various tissues, phthalates are generally not persistent, though under some circumstances, phthalates do tend to accumulate in certain organs. But because exposures are so frequent and common, some level or body burden of the phthalate family of chemicals can regularly be detected. The substances in food contact materials may migrate at low levels when the materials come into contact with food. The FDA regulates all substances in food contact materials that are reasonably expected to migrate into food based on their intended use. This includes the use of some phthalates in food packaging. There must be sufficient scientific information to demonstrate that the use of a substance in food contact materials is safe under the intended conditions of use before it is authorized for those uses. For food contact substances, which includes substances used in packaging, the FDA’s safety evaluations generally focus on dietary exposure to the food contact substance, as well as available toxicity information on the substance, in order to determine if the exposure from the intended use is safe. The FDA does not stop evaluating available information on a food additive once it is approved for use. The FDA continues to examine data on these compounds as it becomes available. Of course we should know what chemicals we consume in our food. We should figure out whether they are dangerous and harmful. We should keep a close eye on government agencies and regulations to make sure they are adequately protecting us. What we should not do is turn preliminary research into news stories that scare people—particularly pregnant women, who have plenty to worry about. The story was the top-read New York Times story when I came across it Thursday evening. It reached me via a friend who is currently pregnant and was suddenly worried about her mac and cheese habit. Sathyanarayana, who told me she spends a lot of time talking to pregnant women, assured me that people shouldn’t panic. The actionable advice here is still the same—pregnant women should be sure to eat a balanced diet that includes plenty of fruits and vegetables, and isn’t reliant on processed food. But as long as you’re keeping your mac and cheese intake below multiple boxes a day, there’s no need to be overly alarmed.